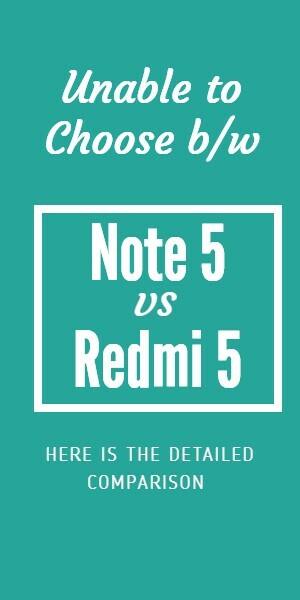 Are you getting confused between Redmi Note 5 vs Redmi 5 well then let me do the honors to clear all your doubts. They both are separate mobiles which released in less than a month gap. If you take a close look at both Redmi Note 5 & Redmi 5 then you won’t find many differences. Then you may wonder what are the differences between Redmi note 5 vs Redmi 5. Well, the major difference is the processor where Redmi 5 comes with Snapdragon 450 chipset but Redmi note 5 runs on latest Snapdragon 635 chipset. But is that really matters..? Then just read ahead for Redmi Note 5 vs Redmi 5 Full Comparison. Note: Please read this article till the end for the perfect conclusion. I have given my opinion at the end of this article so if you don’t have time then make sure you visit the final section of this article. For this comparison we have only chosen Redmi note 5 but not the Note 5 pro. Because that unit is no match for Redmi 5. But if you want to compare with Redmi note 5 Pro vs Redmi 5 then you can make your own changes. The only difference between Redmi note 5 & Note 5 Pro is the camera. Apart from that, both mobiles are similar to the core. In this article, we are comparing every detail such as specifications, Price, Features and more. As you can see there is no much difference except Redmi Note 5 edged in display and battery. That was expected by considering the fact that it is Note model but the major difference here is the processor. Redmi 5 is using old-school Snapdragon 450 chipset but Redmi Note 5 offers the latest Snapdragon 625 chipset. In this specifications comparison, Redmi 5 hold an upper hand with latest MiUi 9 but you can also get this on Redmi Note 5(System Update may require for few units). Redmi note 5 starting variant comes with 3GB RAM so if your budget is limited to less than 10k then you can choose Redmi 5. It is mainly released to target budget mobiles in India so if you are the one looking for a budget mobile with premium features then choose Redmi 5 2GB RAM variant. If you want a mid-range mobile with 4GB RAM then I suggest you go with Redmi Note 5. I am just surprised to see there is no color difference between these two models. Which actually shows how close those two mobiles are. There is the total of 4 different variants available for Redmi Note 5 & Redmi 5. So don’t let the color decide your choice of preference. You can’t just visit the above link to buy these mobiles. Because they are only available on Flash sale. Redmi Note 5 is an exclusive Flipkart product where Redmi 5 is an exclusive Amazon product. 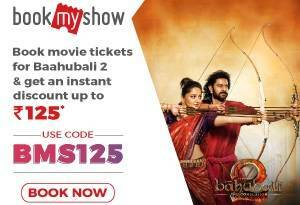 But you can buy any of these mobiles from Mi site as well. So if you are planning to buy either Redmi Note 5 or Redmi 5 then just read ahead. Which one Should I Buy Redmi Note 5 or Redmi 5? Many people are asking me this question first I ask you to decide how much money that you can invest or which type of mobile are you looking forward to buying.